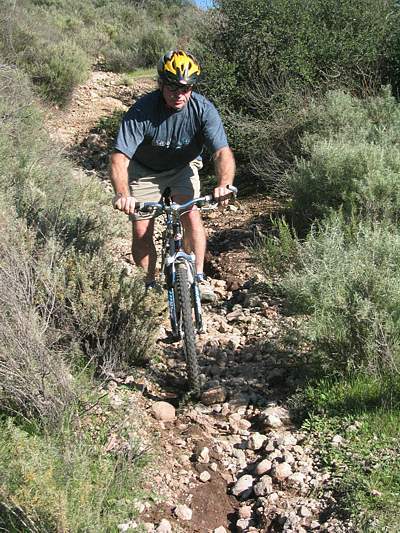 This Saturday, January 12 - Basic Trail Maintenance Workshop Malibu Creek State Park. Contact Burt Elliott 805-498-2475 or Jerry Mitcham 805-492-6522 to register. Meet at the Malibu Creek State Park District Administration Building. Tell the attendant that you are there for the Trail Maintenance Workshop and get a parking pass and directions. Program will include classroom and field demonstration work so dress accordingly. Lunch will be provided. For more info, www.corbamtb.com. The CORBA Trail Crew will be teaming up with the Santa Monica Mountains Trails Council to work on the Guadalasca Trail in Point Mugu State Park. We will be removing the outside lip of portions of the trail where the trail has become cupped. This will allow the water to run off of the trail, preventing further erosion. More info. Trail Maintenance on the Valley Forge Trail in the Angeles National Forest. Wewill be doing some yucca removal and light tread work. You can bring your bike and ride in, or hike in if you prefer. More info.